Bike tours in Nice for you! Lifesparkz Bike Tours guides tourist cycling tours from Nice. We offer a pre-designed tour from Nice to Villefranche-sur-Mer and Cap Ferrat with rent of touring bikes included. Look here for details.​ You can also ask for a custom fit tour for your group. 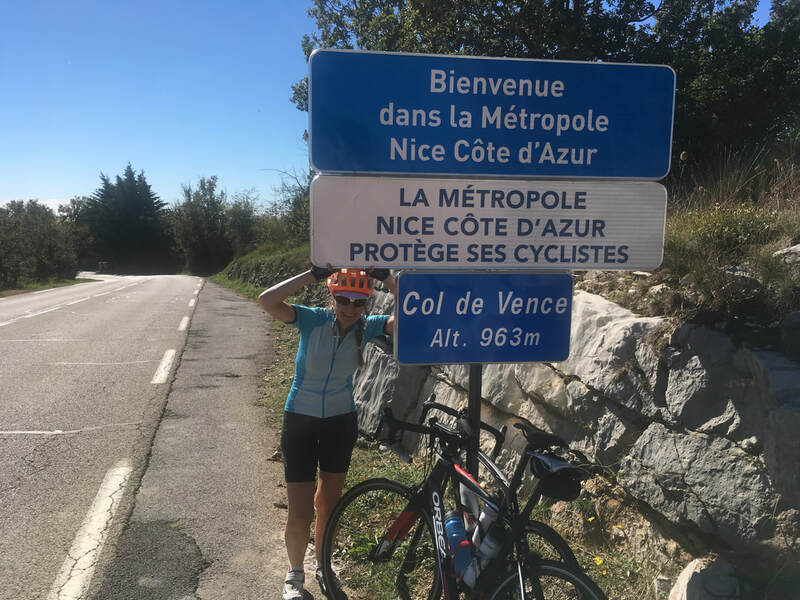 Lifesparkz Bike Tours guides sportive cycling tours from Nice on 3 levels according to distance and the meters of climb in the tour. ​We offer a range of pre-designed tours. Yet, we are happy to design a tour according to your wishes. We start from a central point in Nice or meet at your place for accommodation. The tours are for you, who love cycling and want to explore new landscapes and challenge yourself by biking in the mountains. All of the tours are for women and men who already feel comfortable on a bike and have some experience in road biking. If you are just learning to go on a bike, we can design a tour in a quiet area, and help you to get to know your bike and biking. To go on our tours, we recommend you to be in a good physical condition as the climbs are challenging. We do tours for individuals and/or in groups. We recommend group sizes of maximum 10 people per guide. We set prices for group tours according to the number of people in the group, the hours and difficulty level set for the tour. We offer group tours in week-ends on 2 levels. Further, we design tours according to your wishes for a tour for one or more days. Our guides are experienced cyclists who live in the area and cycle here every day. Guiding in English, Danish (Norwegian/Swedish), or French. ​Lifesparkz Bike Tours encourages safe cycling. We follow the traffic rules! We guide you in the local traffic customs. We are happy to share our experiences in techniques for climbing and descending mountains. We do not want you to push yourself too hard going either up- nor downhill. Helmet is mandatory on our trips as is a bottle with drinking water. Also make sure to bring some sweets/snacks to keep up your energy level balanced throughout the trip. Please make sure that you are covered by your personal insurance in case of accidents. You can read our Terms&Waiver here. Lifesparkz Bike Tours does NOT supply bikes, shoes or cycling clothes, when you go on a road bike tour with us. We prefer that you can choose a bike, which fits your needs and size and let professional bike shops take care of bike maintenance. We are happy to help you to rent a bike. There are several bike rental shops in the Nice area. Some of them have a delivery service, so you can get a bike delivered to your house or hotel. If you bring your personal bike by plane - we are happy to help you to book a taxi, which will have room for a bike plus your luggage. (Not all taxis in Nice have room for a bike). Otherwise you can bring it by train for free (Nice St. Augustin train station is a 15 minutes walk from the airport).